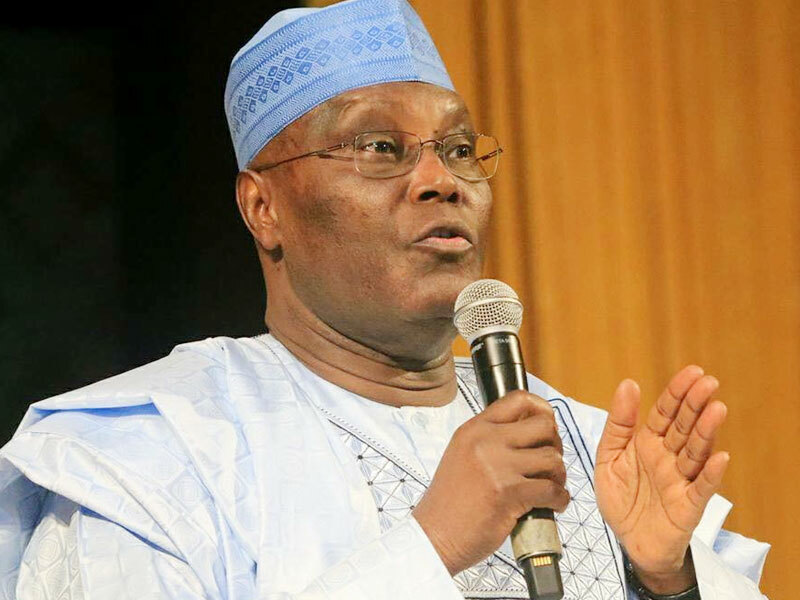 Presidential candidate of the People’s Democratic Party (PDP) in Saturday’s elections, Alhaji Atiku Abubakar, has declared that President Muhammadu Buhari’s time is up, and therefore, should pack and go. Atiku has also described himself as the “author of restructuring” the country, describing the Rivers State governor, Nyesom Wike, as fearless and courageous, insisting that Rivers people should re-elect him on March 2, for his outstanding performance. The former Vice President told the mammoth crowd of party supporters at the Adokiye Amiesimaka Stadium, that, “we must restructure and I’m the author of restructuring. I will give restructuring to Niger Delta and to all parts of this country. “Secondly, it is the Obasanjo/Atiku administration that started East West highway. Today, it is not finished, because we did not vote PDP to continue. APC came and halted it. If you vote PDP again, we are going to finish the East – West road. “Three, your ports, Port Harcourt and Onne, that don’t work and don’t create jobs, we will revive to create thousands of jobs for young men and women in Rivers State. “APC has nothing for Rivers people. They have done nothing for Niger Delta, nothing for South-South. Every development you have got is PDP. Your roads, schools, hospitals, water are all from PDP. What else do you want? Continue voting PDP,” Atiku urged. He assured to protect the constitution if elected, to uphold separation of power, rule of law and never to interfere in the National Assembly and the judiciary. Speaking further, Atiku said: “Do you know what the president said yesterday, in Zamfara? He told Zamfara people, ‘let us pray for rainfall; let’s pray we eat to our satisfaction so that we can make trouble.’ Is that what the president should say? “Buhari, I am addressing you. This is a president, who is preaching violence. And this is not the first time he has done so in this country. We are not going to allow any person who will knock our heads against one another and make us fight. While expressing admiration for the Rivers governor, Atiku said: “Wike and I have few things in common. We are not afraid. Wike is fearless, courageous, hardworking, believes in this country. If we are led by fearful leaders, it means we will all be finished. “I have been part and parcel of this state since 1984. I have not seen one single governor who has transformed this state to such a level that can be compared to any modernised state as Wike has done. PDP National Chairman, Uche Secondus, while addressing the crowd at the event, said it would be sheer disaster to allow President Muhammadu Buhari continue in office because he was no longer aware of anything happening in his administration. Secondus said: “It is time to be firm and be serious. Buhari is not aware of anything going on. He’s not aware he is losing the country. He’s not aware insecurity is strong, not aware National Assembly has been assaulted, not aware that the Chief Justice of Nigeria is being harassed. “Rivers is total for PDP. Nobody can distract us. Rivers has continued to be PDP; nobody can challenge that. From May, 2015, to date, in all indices of development, nowhere have we made progress. We cannot as a nation, continue to stay where we are. “Only Atiku can get us out of this quagmire. Atiku will not discriminate against any part of the country. He would not lead on a ratio of 75 to 15 percent in favour of one part. When he was vice president, they never discriminated. A vote for Atiku is vote for progress,” Jonathan declared. Meanwhile, the Rivers State chapter chairman of PDP, Felix Obuah, has expressed optimism of a landslide victory for Abubakar in the February 16, presidential election. Speaking at the PDP presidential mega rally, Obuah said the party’s presidential candidate is a household name and needed no introduction to Rivers people, because of his love and interest in the people and having invested so much in the state. The State PDP chairman described Atiku’s campaign in the state as mere home-coming and political requirement, stressing that the Rivers people had already reserved indisputably and irreversibly 100 percent of their votes for him and all the PDP candidates in the state. Buttressing his claim, Obuah gleefully disclosed that 58 governorship candidates out of the 91 registered political parties in the state, had already endorsed Governor Nyesom Wike’s re-election and had also given their endorsement to Atiku for president. “All we are waiting for in the state is the pronouncement of your victory on Saturday, Feb. 16. Rivers State is PDP and PDP is Rivers State. There is nothing anybody can do about it. We, therefore, want to joyfully congratulate Your Excellency in advance for your landslide presidential victory in Rivers State and in Nigeria in general,” Obuah declared.